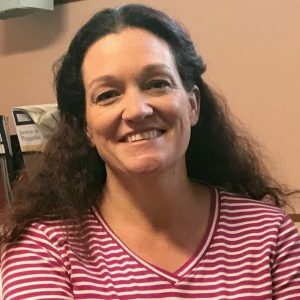 Millinocket Regional Hospital is welcoming a new Family Nurse Practitioner on board. Melodie Needham, FNP, is joining Dr. Dunstan in Family Medicine and will be replacing Jackie Carter, FNP. Melodie started her career as a combat medic in Desert Storm. She served four years in the US Army before obtaining her RN. She worked as a Registered Nurse for 11 years; during the last few years juggling both work and her coursework toward her Family Nurse Practitioner degree. Needham’s reasons for accepting the position at MRH were clear. “I spent 6 months with Dr. Dunstan and Jackie Carter during my NP training and developed a close family connection with the whole office. I have remained in contact with all of them and feel they have been part of my professional and personal development for the past four years…. Maine has always been my home, even when I was on active duty and away for four years,” she said. She will begin in her position on July 10 and all appointments that were made with Jackie Carter from that date forward will be scheduled with Melodie. She will also be accepting new patients as well.